Australian software company, LiveTiles, has become one of our great tech success stories, picking up some of the world’s largest retail companies from its base in New York, listing on the ASX, winning awards, and hosting former Prime Minister, Julia Gillard, earlier this year. An entrepreneur in every sense of the word, Karl Redenbach went from being a lawyer to founding nSynergy from his bedroom when he was in his early twenties, which was acquired by Rhipe late last year. A Monash Unversity and Harvard alumnus, he caught up with ARN to discuss his role as CEO and co-founder of LiveTiles, and the company’s plans for the future. How did you make the jump from being a lawyer to heading up a tech company? I started off as a Monash law and arts student; I’m originally from out in Melbourne’s Western Suburbs. I didn’t really do anything too technological at school. I worked at Minter Ellison, then at IAG, as a lawyer. But I always knew I was going to go into my own business. So I got out of that and into the tech sphere, and worked with my business partner Peter Nguyen-Brown. He was working at BHP services, with Telstra. He was the one who was an application developer. We actually make quite a good team, a great synergy between both of us – I had the business focus, he had the tech focus. We went straight into this business at 25 years old. Then I headed over to London for three years to set up nSynergy with Peter. After that, we came back to Australia, then moved over to the US three years ago where we set LiveTiles up, using that 12 years of experience. Last year, Rhipe acquired nSynergy, which was a good deal for them and a good deal for us. It's still going well, and it has broadened the business, which is great. From a LiveTiles perspective, we split away formally then, and built it to the point where we listed on the ASX a few months ago. That’s gone very well so far; we’ve stayed in positive territory. My goal is to garner a hell of a lot more interest over the next few years. Tell us a bit about LiveTiles, and where you’ll be focusing that interest? What we’re doing is working in two major sectors - one is education, the other is commercial. Our free education product, LiveTiles Mosaic, is gaining a lot of momentum and it has already sold in 31 different countries. It's going gangbusters. It’s about helping students and staff in virtual classrooms, in that collaboration space to accelerate their implementation and deployment. Then we’ve got our commercial product, LiveTiles Commercial. Essentially, that is all about helping large organisations collaborate. It’s a drag and drop tool. It basically requires no code to build sites, the direct opposite of what there’s been for the last 30 years in this space. Its got an amazing response from customers. We’ve already signed up Pepsi, Nike and the Commonwealth Bank, and we’ve got many more big names in our pipeline that I can’t talk about yet. 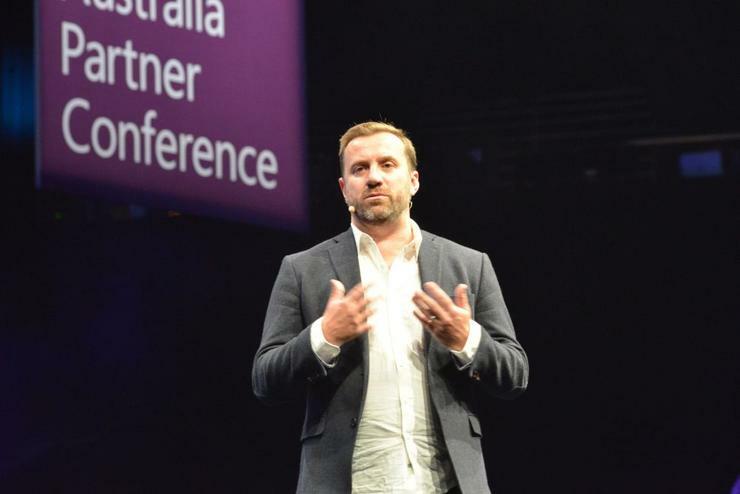 What I mentioned at Microsoft APC this year is that we’re focusing on our partner channel. That’s our real key focus over the next 24 months. The biggest distributor we actually have is Microsoft themselves, who are actually putting it through its partner channel. It's essentially trying to get adoption and consumption of its own Cloud technology, Office365 mainly, but particularly in the Sharepoint space. Essentially Sharepoint is a portal product, and in some circles it doesn’t have the best rap for its usability. We aim to bridge that gap. We’ve seen the consumerisation of IT through Apple, and a whole different raft of websites need to be very user friendly now. This means a lot of people don’t want or need training. We’re trying to bring that same ease of use and beauty to the market. Look at companies like Xero, for example, its tagline is ‘its beautiful accounting software’. Ours isn’t just about that, but we have an important part to play in collaboration, enterprise. We’re trying to bring that beautiful experience to the Microsoft world. That’s the key driver for us. Tell us about the ASX listing – has that changed the way you do business? We got a large injection of cash, which has given ourselves a great opportunity to actually become a very large tech company, which is my aim and objective. We certainly believe that we have the unique offering in the market. PriceWaterhouseCoopers did a report for us where they looked to identify the competition, who else was out there. They found that there actually wasn’t any direct competition – yet – for what we’re doing. So we have a really unique position in the market. The key thing about that funding is that it also allows us to accelerate the building of our global partner network. Our partnership with Rhipe and the other CSPs has been critical. Our plan is to really build that CSP focus out across the US and Europe and that will solidify our hold in the market, our competitive advantage. What PwC identified more than anything, was that the Enterprise UX, that is how users are interacting with software, is one of the most fundamental issues right now in the technology sector. So we’ve got an amazing user experience platform, in a top market, and there’s little competition. Its great news. Listing has its risks, being an exciting new startup, are you worried about takeover bids? Our objective is to grow the business, first and foremost. We think there is a huge potential for it. It’s really too early to consider anything like that, even though we are considered very acquirable by many parties. Our goal is to grow this into a very large global software business over the next three years, scaling with our partners and Microsoft. Why the move to New York? Is this the same story as Atlassian, you found little support in Australia? Firstly, we are creative by nature. The solution that we’ve created is actually more about design than it is about technology. Here in New York we have some of the best designers in the world, and we’re able to access and engage the talent much more easily. It is difficult in Australia. It's one of the things we’d really like to see the Government invest more in, tech talent. It is sadly one of the reasons we moved to the states. We have access to more developer talent here. We’ve spoken to the Government about this directly, especially the Victorian government, its something we as a nation really need to focus on. It is relatively hard for an Australian tech company to come out of the blocks and be a global success. Atlassian is probably one of only a handful of truly global companies that have done that. What we’ve done is try and emulate that. But we decided to start out here in the US, and then almost travel backwards from there, even though we’re Australian owned and run. Its ultimately not the way we would love to do it, but its how we’ve had to do it. The second reason we’re in New York is that its an amazing city for customers. We’ve already been linked up with some of the largest New York based companies, and we’re in the pipeline to get some of the biggest retailers in the world. Unfortunately I can’t name them yet, as we’re in the early stages of pilots. But these are, literally, some of the biggest names in the world. The other thing about New York is, we can more easily oversee our counterparts in Europe. We’ve already got some guys setting up in London. The time difference, and flying across the Atlantic is just a lot easier. We also have a development team in Washington state where Microsoft is headquartered, just outside of Seattle in Richland. That helps us cover the globe, and stay close to that Microsoft relationship. The other great thing about New York is events such as having Julia Gillard come out and talk about education. Her involvement with the UN as well, so that gave us great coverage. We are so lucky to have those opportunities. You just don’t get that Australia. So what else do you do outside of LiveTiles? I sit on the Monash Global Business Leaders Board as chair in the US, so that Julia Gillard education tour went extremely well and we’ve gained a lot of momentum. I’ve spent the last couple of weeks away at Harvard Business School. I did an executive MBA called OPM, (Owner/President Management), so its been a busy few months. I’ve also used those opportunities to mentor and guide young students, young businessmen or women trying to get into tech. When we started this 14 years ago, when I was 24-25, tech was not cool. Tech was for geeks. Now that’s all dying out. The real success of these tech companies across the board globally means that everyone wants to be in tech. It’s cool now. I also have four young children; eight, six, and four years old, and an eight month old baby here in Manhattan. That is basically my life outside of work. I am a big Geelong Cats fan. I still follow every game of the Cats, even at ridiculous hours of the morning here. I still like to have those ties to Australia, even though I’ve been here for four years. I come back for business, and I’ve had about five trips back to Australia in the last year. It really is a little Australia here in our New York office, we’ve got inflatable kangaroos everywhere, we celebrate the AFL grand final, the cricket, the Rugby world cup. Peter and I are relatively young, around 38. Well, not by Silicon Valley standards, but we do see LiveTiles as a long-term path for us. We’ve achieved so much so far, but we think the best is yet to come.